Valentine’s Day Email Marketing Ideas for Spreading the Love! Nowadays, Valentine’s Day is more than just another American tradition that turned out to be celebrated globally. Just like Thanksgiving and Christmas, Valentine’s is a special celebration that will make you spend money for loved ones. Besides, it is the 2nd largest commerce day in the US, after the Black Friday! Whether you are surprising your special someone with a romantic dinner, flowers or any other gift, such as clothing or cosmetics, email marketing is a great tool to have in order to gather more leads, therefore more sales for you. Research shows that people are willing to spend a little bit more for their significant other, on this unique day. Continue reading this article for great Valentine’s Day email marketing ideas and for learning how to use this campaign to increase your conversion rates! 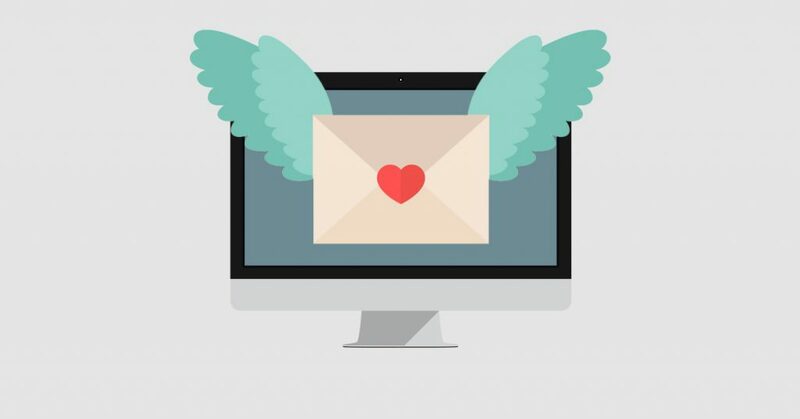 Let ContactPigeon be your guide and walk you through on how to create the best Valentine’s Day email marketing campaign. In the end, you will want to celebrate Valentine’s Day with us as, and for sure, you will fall in love with our platform! Have a look below on our top tips and spread the love with your Valentine’s Day email marketing campaign to win your clients’ hearts! As mentioned earlier, some of you might sell products and others offer services. If you are wondering where to begin, a good starting point would be to check what was the most successful or most wanted product or service on last year’s Valentine’s Day. After you have pinpointed them, add them to your campaign. Your visitors not only will be happy to see what you offer but they will be excited to see your ideas and some might be saved of all the frustration of what to buy their special someone. Also, remember that this is the perfect time to build reminder campaigns to increase your visitors’ interest, create urgency to book or make a purchase in advance. This might be a hectic period for you getting to know your new customers, reviewing your great results on open rates, click rates and eventually conversion rates! So what are you waiting for? Activity – Will help you send emails to those who show a constant interest and help you filter out those who are inactive. By creating attractive, small, catchy and to the point subject lines you will make the impression you opt for and capture your audience. Here at ContactPigeon we believe that it is of utmost importance to use personalization, like referring to their name, add words like “sweet, ideas for you” and even emojis (that are extremely popular lately)! There are plenty of words you can use, so have fun and see what works best for you! Use a clear subject line and make it actionable. Use a clear subject line and make it actionable. Don’t forget to create a vivid, unique content along with your colorful Valentine’s Day email template. Remember you can use emoji and gif images that can bring your mailer spice! When is the right time to send your email campaign? What is the ideal time before this special event should you send the first mailer? Is it optimal to send a repetitioν of reminder emails before the V-day? We are certain that most of you will be asking these questions and luckily for you, we have the answers! Research shows that the heaviest volume for Valentine’s Day campaign is on the 6th, 8th & 12th of February. We would suggest preparing your clients a little bit earlier ideally, the last week of January, by sending the first intro in what surprises they are in for this Valentine’s Day season. Create urgency, make them feel excited about your upcoming offers and ask them to stay tuned! This might seem like an unnecessary cost for you, but research shows that adding a compelling offer to your campaign can increase your conversion rates. On Valentine’s day, visitors will be bombarded by numerous campaigns from your competitors too, but they will end up with one option. Plan ahead and send an attractive campaign that will make you their #1 choice! Offering free shipping gives you higher conversion rates and revenue per email, but you can also use a small offer such as a gift that comes along wit the overall order or even a 5% off. Choose wisely and make it count! Not sure whether you should grab dinner for two, buying perfume or jewelry? Still wondering what is the best option to go with? We have the solution for you! Get your loved one a traditional gift card or an e-gift card! This is an extremely popular option in the U.S. and according to a research done by Deloitte, 43% of Americans find it a very useful choice! Don’t t contemplate about it too much, promote this safe option and make your subscriber’s life easier. Hurry! Cupid is counting down! Valentine’s Day gift for you #name##! for more romantic Valentine’s Day subject lines check out this article! We have hunted down our most loved Valentine’s Day email marketing campaign examples, have a look below to get ideas! Fitbit reminds us to love ourselves! We’d like to believe that this was an inspiring article and provided you with some great Valentine’s Day email marketing campaign ideas! We wish you to get love struck on this Valentine’s Day!